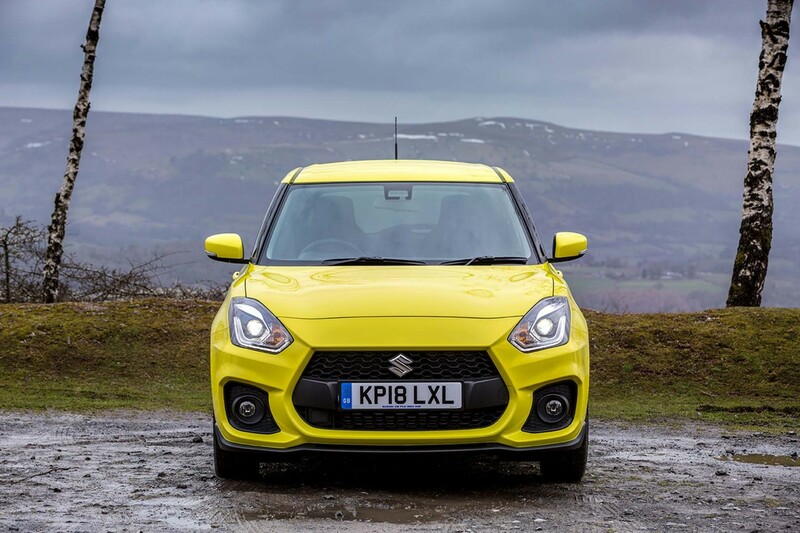 FASTER, more powerful but lighter and cleaner, the latest incarnation of the much-loved Suzuki Swift Sport has hit the UK. And, for just £16,499 on-the-road for the time being you can make everyday a fun day. 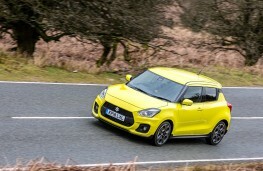 The Sport is, of course, the flagship of the popular Swift range. First introduced in 2006, it has been grin-inducing ever since, selling around 11,500 over that period. Despite having a smaller engine, the new supermini has more power than its predecessor - up 4bhp to 138bhp - but importantly, torque has increased by 44 per cent to 230Nm. And fabulously, it's available from 2,500rpm. 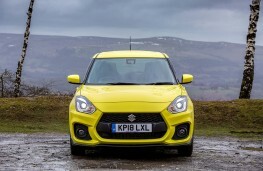 Put simply, it has the power and torque of a car with a normally aspirated 2.0-litre engine. 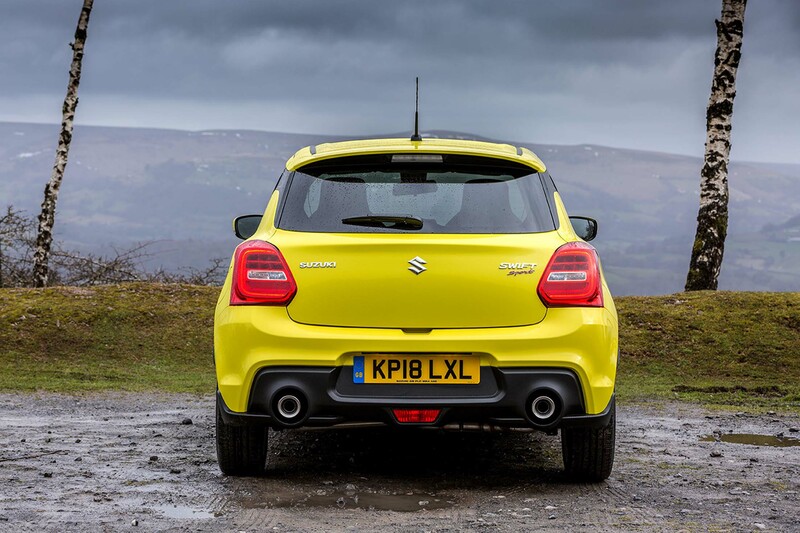 Weighing 70kg lighter at 975kg, the hatchback now has a torque-to-weight ratio of 4.2kg/Nm placing it firmly at a similar level to its hot hatch competitors. 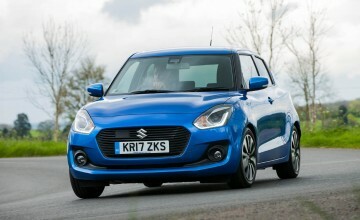 The 1.4-litre turbocharged Boosterjet engine is mated to the Sport-specific six-speed manual gearbox, which has also been tweaked to make its short shifts even racier. 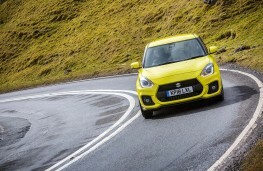 Suzuki has also made sure the Sport stands out from the rest of the range. Its stand-out design includes an exclusive frontal design, its front grille and bumper projecting its nose beyond that of the standard Swift, and it sits 15mm lower than its predecessor. There's also exclusive 17-inch alloy wheels, black, carbon fibre-effect front and rear diffuser and side skirts and an aerodynamic roof spoiler. Kerb appeal a plenty. 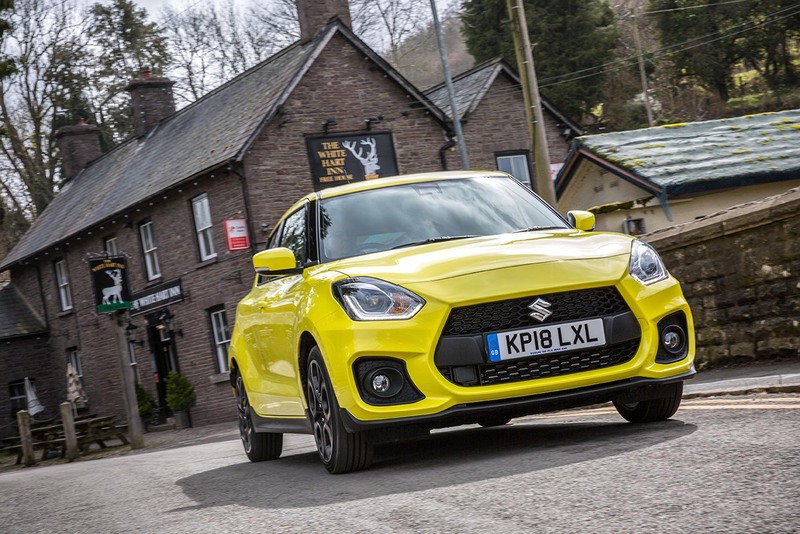 It's also available in one exclusive solid colour - Champion Yellow which originates from the Suzuki Works Junior Rally Car - and five metallic colours at no extra cost. 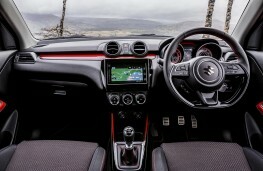 There's also an exclusive Sport interior trim with red accent panels throughout the cockpit contrasting with the basic black, a tachometer with a red dial face and a silver-coloured speedometer. 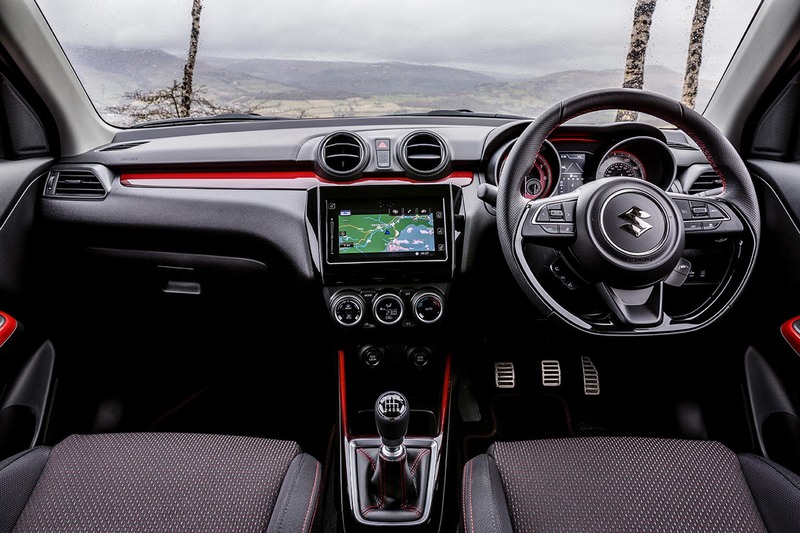 The semi-bucket seats are comfortable and supportive, and there's also an exclusive leather Sport steering wheel with red-stitching, which is also featured on the gearshift gaiter. The cabin is surprisingly roomy with ample space between occupants and plenty of head and legroom, especially in the front. 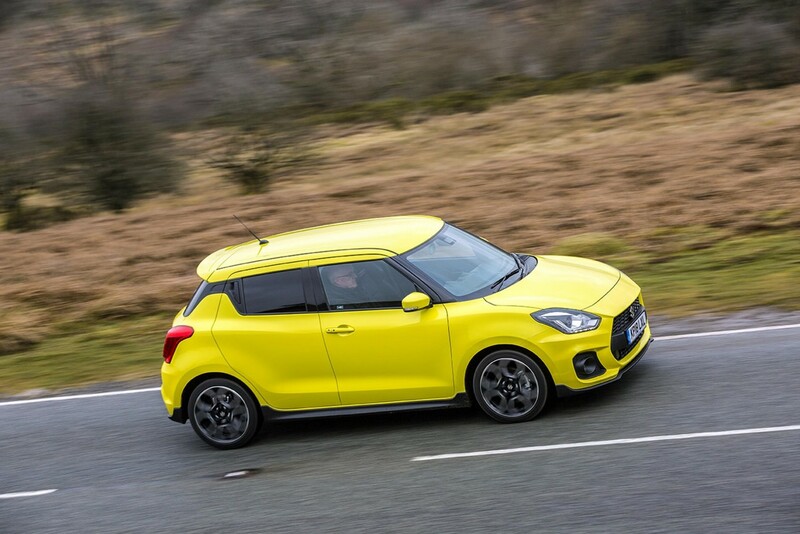 There's 265 litres of space available for luggage with the rear seats raised, 25% more than the previous Swift Sport. From standstill to 60mph takes 8.1 seconds and it will top out at 130mph while official fuel return figures rate it at 50.4mpg with emissions of 125g;km. Not only is that a significant improvment on its predecessor, it's also quicker than before. At the official price of Â£17,999 it's extremely good value for money - rivals such as the Renault Clio RS and the Vauxhall Corsa VXR cost over Â£20,000 - as it is loaded with kit. 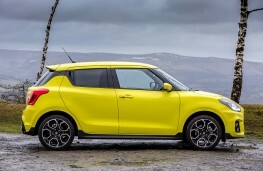 But until the end of June the Japanese car maker is offering a discount of £1,500 as a special incentive. 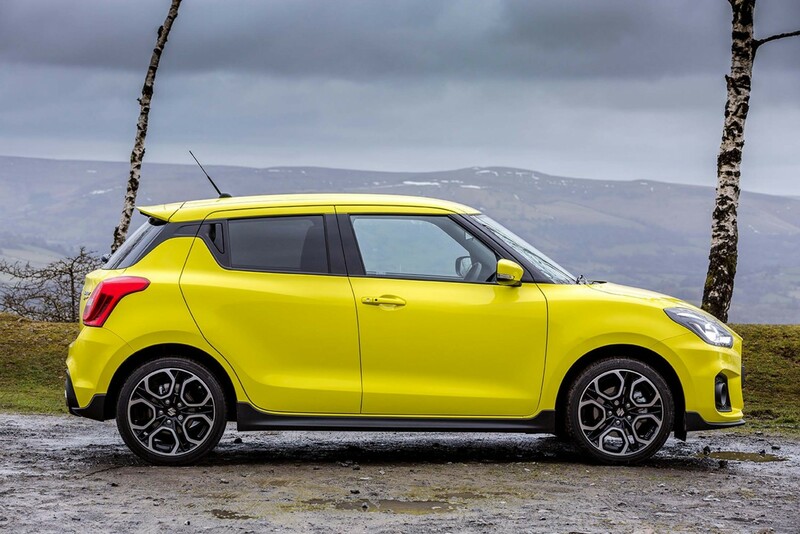 Standard equipment includes air con, privacy glass, DAB radio with Bluetooth and four speakers, LED running lights, headlamps and rear lights, and electric windows. 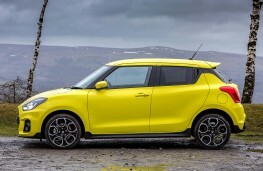 There's also a rear view camera, front fog lamps, keyless entry and start, adaptive cruise control, sat nav and a Smartphone link display audio with a seven-inch touchscreen. Safety equipment includes six airbags, an electronic stability program (ESP), autonomous emergency braking, lane departure prevention warning and high beam assist. The front and rear brake discs are also now larger and thicker to cope with the increased performance. Which is nice. 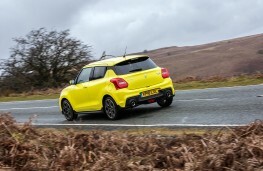 Suspension roll has also been significantly reduced and performance-orientated Monroe shock absorbers are used. 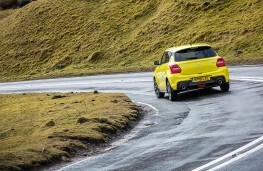 The rear suspension has also been specially designed to ensure much better stability at high speeds. All this means the new Swift Sport is sharper and quicker than its predecessor; more aggressive and emotive. Light and racy with bags of torque, it drives brilliantly, with bags of composure, and confidence in its road-holding ability. Driving up through Cheddar Gorge and across the Mendips it was as nimble and surefooted as one of the area's famous feral goats. It's not the fastest or most powerful hot hatch, but it certainly far from average. I'd dare anyone not to find the body roll and grip a delight. It's also extremely useable as an everyday car. 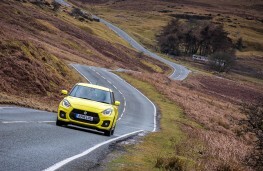 The ride is firm but supple - none of the bone-jarring stiffness you get from some performance models. When working through the gears there's a lovely throatiness to the twin exhausts but when cruising, it's surprisingly refined. The Swift Sport is a fun car, not a beast. It's a car you can easily live with. 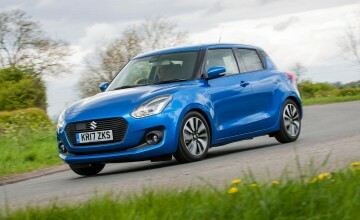 Suzuki is planning to sell more than 1,500 Swift Sports in its first full year - an ambitious prediction but one that it should achieve. 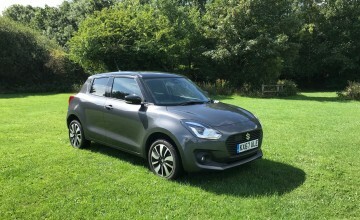 Discount or not the Swift Sport is excellent value for money - and once you've gotten behind the wheel you might find it hard to let go.